Bathtub Chip Repair in Bedford, TX - We specialize in bathtub chip repair! 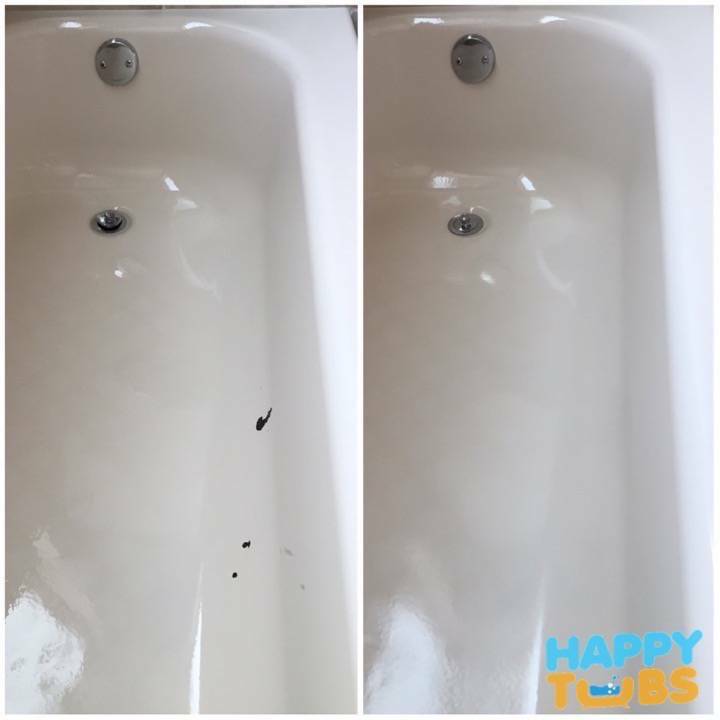 Bathtub Chip Repair by Happy Tubs. We specialize in chip repairs. 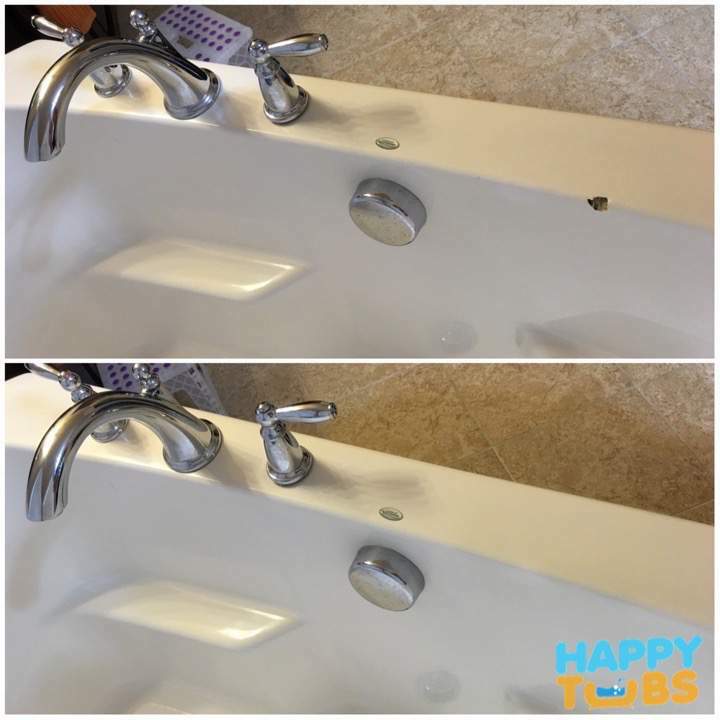 Most bathtub chip repairs are completed in under 2 hours and for only $199! You will even be able to use your tub the very next day. We are proud to use only the highest quality Made in America materials. It's how we ensure the quality and durability of your bathtub chip repair. With our Chip Repair Service you will get a "best in the business" Fully Transferable Warranty! text or email us a picture of the entire bathtub, including one of any chips (place a dollar bill for size reference). include the name and number of the person we should contact with repair options and accurate cost information for your bathtub chip repair. sit back and relax while we prepare and send you all of the information for your bathtub chip repair. We are proud to be the highest rated Bathtub Chip Repair company in the DFW area to be Authorized Service Representatives for warranty service and we also specialize in repairing jetted bathtubs by the following manufacturers. It gives us inside access to the best methods and parts for your jetted tub repair needs.